I’m not sure Bellerophon would’ve been quite as keen to ride that. Two news stories in one about The Incredible Adventures of Van Helsing 2, including word of a curious flying pig device. 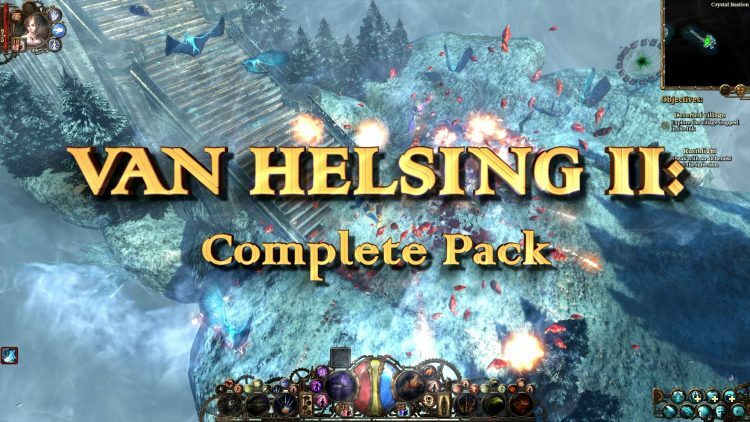 Before we get to that, the first piece of news is that Van Helsing 2 is now available in ‘Complete Pack‘ form on Steam. Priced at $20.00 USD (in USAland, anyway,) the Complete Pack bundles the game up with the digital soundtrack and two pieces of DLC. Ink Hunt was released earlier in the year and adds some more side-quests and missions. The Pigasus add-on, meanwhile, is new today. If you know your Greek mythology then you’ll probably be able to hazard a guess at what the Pigasus might be. Yes. You’d be right. It’s a flying pig contraption. By spending essence in the lair, the mighty Pigasus can be summoned. He (or .. she, maybe?) apparently provides the rarest loot in the land. You can buy Pigasus as a stand-alone for $3.00 USD, if you’re so inclined. Here’s a trailer for the Van Helsing 2 Complete Pack.